Donda's House Inc. has announced that it will be changing its name. The Chicago-based charity was created in 2011 by Kanye West, Rhymefest and Donnie Smith to support young creatives in the city, and was named in honour of West's late mother. 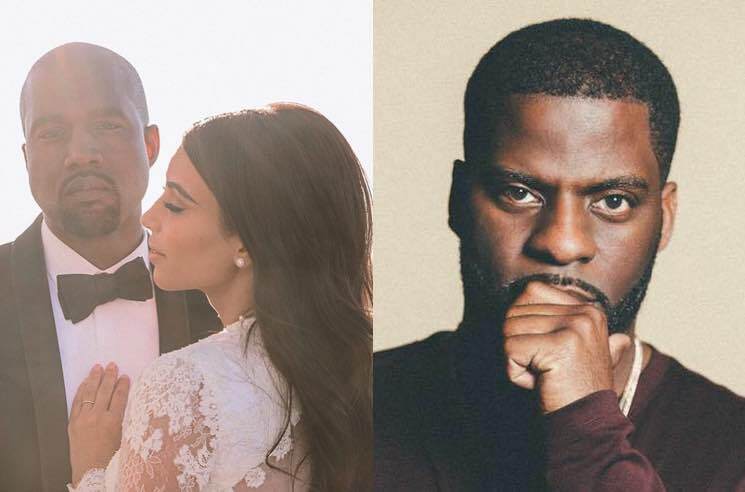 News of the name change follows a high-profile Twitter war between Rhymefest and West's wife Kim Kardashian West over the weekend. Donda's House Inc. issued a statement on Friday (May 25) distancing the company from the controversial rapper and urging those who have turned against West in recent months to boycott his music and not the non-profit organization he co-founded. "While we cannot and do not speak for Kanye West and his views, we can and will speak up for the youth that we serve," the statement reads. "We ask that those who feel hurt, angered by or frustrated with Kanye West not penalize or throw away their support, respect and advocacy for us." It goes on to accuse West of shirking previous financial commitments to help with the plan to convert his childhood home into a studio. Kardashian then stepped in to defend her husband, telling her side of the story. I saw you at our studio a few weeks ago so why didn't you bring this up then @RHYMEFEST ? You were trying to get Kanye to listen to your sub par beats. You have the audacity to use Kanye's mom name to try to shead a negative light on Kanye. Kanye and Donda started a charity called Loop Dreams. When Donda passed, they changed the name to Donda's House. Kanye paid Rhymefest a salary to run it. Kanye gave his "friend" an opportunity to run an organization on his own. So now that Kanye is being publicly shamed for not being involved makes no sense and, at this exact time, just seems very calculated. I have and will always applaud any efforts to give back to the community. To fight for justice and to help uplift the youth. But I will never tolerate someone who was close to Kanye who attempts to use his late mother's name to publicly shame him while pretending to do good. Rhymefest then attempted to invoke the power of Drake — presumably in reference to his recent West and Pusha-T diss track "Duppy Freestyle" and the accompanying $100,000 invoice to G.O.O.D. Music (it was a response to Pusha's West-produced DAYTONA track "Infrared"). He has since issued a longer statement in response to Kardashian, asking how she could "criticize an organization that you've never physically been to OR that you've never even talked to the executive director or any of the team." Following that, Donda's House released a final statement announcing its decision to change the organization's name and urging Kimye "to indeed pick up the baton of service."